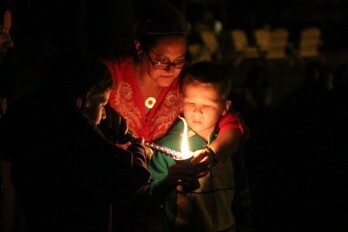 At Camp Interlaken, campers of all backgrounds and levels of observance come together to celebrate Jewish life. 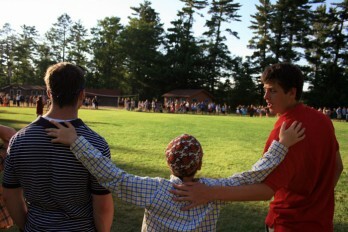 In our unique community, Jewish living is experienced in everything we do and helps campers feel proud of who they are. Judaism at Camp is accessible, relevant, appropriate, and, most importantly, FUN! It doesn’t matter if your background is secular or observant, our staff work together with our campers to make sure that we are able to meet each participant comfortably at their starting place. 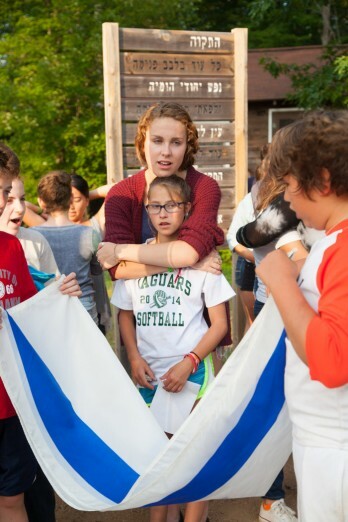 The Camp community begins their day singing Modeh Ani together around our flagpoles after raising the Israeli and American flags, and we end our day singing Shema and Rod Hayom together as an entire community. Camp joins together in Hamotzi before our meals and birkat hamazon at the end of our meals. If you don’t know these songs and prayers, we will teach them to you! Many of our buildings and cabins are called by their Hebrew names, and Hebrew Word of the Day is always acted out and implemented with excitement by our campers who participate in our Improv or Judaism Gone Wild Chugim, activities. To both educate our campers and staff and accommodate Jewish families of all different background, Camp Interlaken has 3 kosher kitchens (meat, dairy and pareve) that follow the laws of and accepts hekhsher, kosher symbols, from the conservative movement. A list of approved hekhshers and Interlaken’s Kashrut policy can be found by clicking here. As a Jewish experience, camp often means the difference between leading an adult Jewish life and leading a life of indifference. Through studies, surveys, and experience, we’ve learned that Camp Works, and you can read the findings here from the Foundation for Jewish Camp’s CAMP WORKS: The Long-term Impact of Jewish Overnight Camp Study from 2011.